On the International Day of Persons with Disabilities, the Ukrainian authorities made quite a few statements on their assistance to such people. But in fact, after 2013, the level of support for people with disabilities has deteriorated significantly. 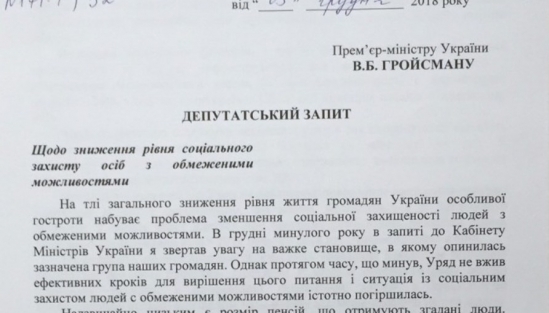 This was stated by the MP of the OPPOSITION PLATFORM – FOR LIFE Serhiy Lovochkin. The politician is convinced that after the change of power, funding of these people's needs will be significantly increased in the country. Right before the start of the heating season, the Government increased gas prices, which has lead to an increase in heating fees. At the same time, the number of recipients of subsidies over the last year decreased by 75 percent. 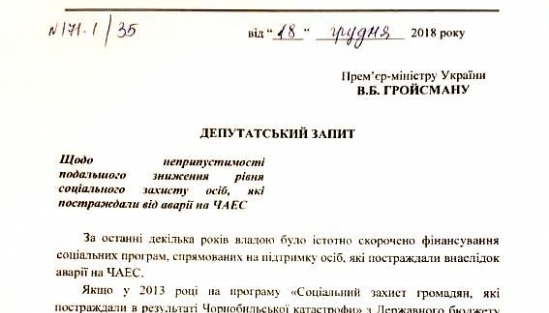 This was announced by Serhiy Lovochkin, the OPPOSITION PLATFORM FOR LIFE MP. According to him, the government deprived 4.6 million families of the ability to pay the government's tariffs by introducing draconian rules for calculating subsidies. 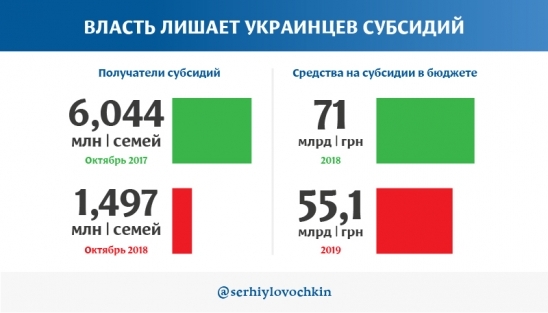 Despite the fact that back in May the opposition demanded that the government curbs inflation, the Cabinet did not take the necessary measures, which led to lowering of living standards of Ukrainian citizens and an increase in poverty in the state. 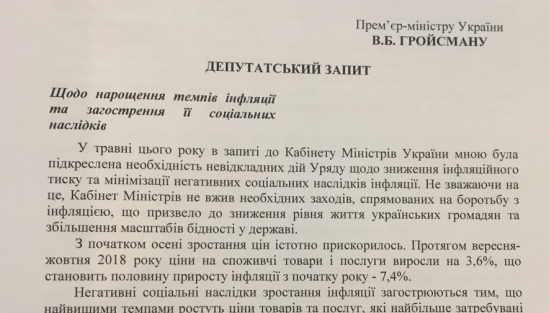 The situation has forced Serhiy Lovochkin, the OPPOSITION PLATFORM – FOR LIFE MP, to address the head of the government, PM Volodymyr Hroisman, with a request to take urgent measures to halt inflation.